Last night we had a mini adventure after school thanks to Seth, I wanted to write the post together, with Mrs M, to try something a little different. Myself and Mrs M are complete opposites when it comes to dealing with a situation. I'm sure she won't mind me saying it but she is a big stresser. I on the other hand take the more relaxed approach, some might say I'm a little too laid back. So I thought we could write the post about our adventure twice, from both perspectives. Last week Mrs M spotted a Lego Star wars competition that had been put on by the Legoland Discovery Centre in Manchester to send in your child's best Lego Star wars creation and if you were picked as the winner you would get passes to go there and see the new Lego Star wars Miniland before it opens this weekend. So Mrs M posted the picture of Seth's At-At that he had made last year (if you remember the post). On Wednesday night we had an email from them saying that we had won and to contact them for details. Well it's Lego ( one of my favourite toy companies! ), so obviously I was very excited and very proud of Seth. The event was on at 5pm the following night (yesterday) so we decided that we would break Seth out of school early to start our Lego adventure.
" Congratulations you've won a trip to the Manchester Lego Discovery Centre" I thought, " Oh my god, thats amazing, but HOW far EXACTLY is Manchester from here? Opeie can only handle an hour tops without crying and then vomiting everywhere..... " Oh my god, I hope that we have enough time to prepare for what we need" .... then Pauly said, " Oh it's tomorrow" ... so I grabbed the Macbook and decided to google how far it was. At 2pm we picked Seth up from school and i was really excited about getting on the motorway and putting my foot down a bit so we could get there before the exhibit opened and have a good luck around the Lego shop. I could see Mrs M and Seth walking to the car from the school in the rear view mirror and Seth had a huge smile on his face so he was obviously as excited as me. Opeie oblivious to what was going on looked happy too watching Aquabats on the iPad. The cable on the satnav was broken so for this journey we were relying on Mrs m navigating from the back via iPhone. I had every faith in her (I'd be a pretty terrible husband-to-be if i didn't). Seth was so excited when I picked him up in the school reception, we held hands and skipped down the school pathway to the car. It was so lovely. I was to navigate the way to Manchester from the back of the car, via iPhone. I'd looked on the map, and had no idea where a specific road was, so I was panicking. I knew we needed to leave at 1.45pm and was panicking about being late, I had the directions written down on my iPhone, and my SatNav on my phone too. Once the iPhone started the route I was confident we'd get there in time. Mrs M was doing a great job and the drive trough all the country roads was nice and relaxing, the weather looked a bit gloomy but i didn't care as i knew we would be indoors. Everything seemed to be going quite smoothly and we were getting quite close when i started to notice that Manchester was no longer on any of the motorway signposts that we were going past. 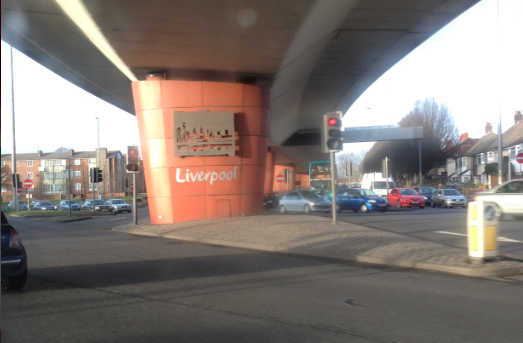 We were looking for the M60 but as 'Liverpool' was cropping up more regular the further down the road we got i had a feeling we had gone the wrong way so i pulled into a restaurant carpark, we were in Liverpool which was confirmed shortly after by the 'welcome to Liverpool sign'. Mrs M had lost signal and although i was worrying where i was going to turn round and how long it was going to take us i did have a little chuckle and thought to myself 'this was pretty much a typical family outing for us'. Seth was getting very stressed out and i did feel really sorry for Mrs M because i know she was getting stressed with the phone. The journey wasn't too bad, Opeie was content playing on the iPad with me, thank goodness for all the great educational fun apps we have on there! Seth was happily chomping through the plate of dinner I'd prepared for him and talking about all the things we were passing and the lorries he could see and Pauly was singing away and chatting with Seth. All was happy at least until we couldn't find the M60. It literally wasn't sign posed anywhere so stupidly and because I'd lost iPhone signal a little way back, we carried on up the Motorway we were on, which was fine until we saw a sign saying "Welcome to LIVERPOOL" … we pulled into a pub carpark, while I frantically tried to gain iPhone 3G signal, whilst thinking ," OH MY GOD, I NEED TO GOOGLE HOTELS, LOOK FOR A CLOSE SUPERMARKET, AND TRY AND WORK OUT WHAT TO DO, WE"RE GOING TO END UP ON A FERRY TO IRELAND IF WERE NOT CAREFUL" Seth started panicking, and thankfully Opeie was the only calm one in the car. We finally reached the car park at The Trafford Centre, and unpacked the car, carrying the boys inside, I'd not been to the Trafford Centre in over 10 yrs, so I wasn't 100% where everything was. However we grabbed a map, and it was the other side of the centre, The Trafford centre is HUGE, and is so spread out , after a lift ride, a 20 minute walk ( I suggest you park directly next to the Lego site if you have little ones - next to John Lewis ) , two bridges and an outdoor walk, we arrived at our Lego Adventure, and Seth and Opeie were so excited. The Starwars miniland was really impressive although i think i was expecting a lot more of it. Seth got his At-At out so that we could take a photo but the pieces kept falling off as it had been rattling around in the car, Seth was getting really stressed out with it (I probably shouldn't had laughed but it was really funny). Opeie seemed anxious because of all the people bless him. The mini figure arena/ pod racing display was AMAZING, there was so many Minifigures on there. Seth was loving it all. It was just a shame there was so many people in there as you could barely move due to it being the preview. I'm not much of a Star Wars fan.... always bored by Star wars, it's not for me, I'm not into the movies, the toys, or the crappy soundtracks, it's not my thing. (I'm more of a Judd Apatow movie girl with moving soundtracks by bands and musicians I like.) Anyway, even though I know hardly anything about Star wars, I did enjoy the artistic aspect of the Lego exhibition as so much work had gone into it, and there were so many things to look at, and it was so detailed! I've never seen so many Mini-figures, and the boys ( yes - all three of them) were really enjoying themselves! Seth and Opeie were looking at everything in great detail, and Opeie was busy shouting with excitement. We had finished looking at the Star wars Miniland after about 20mins so we went on one of the rides where you got to shoot at a screen (lots of fun) and then headed towards the remainder of the Lego Miniland displays.The Lego bullring was great and me and Seth got to race Lego horses. Opeie was loving all the Lego and was walking around pushing all the buttons. there was a huge pit full of Lego for the kids to play in but i knew with Mrs M's germ phobia the way it is the boys were not going anywhere near that. 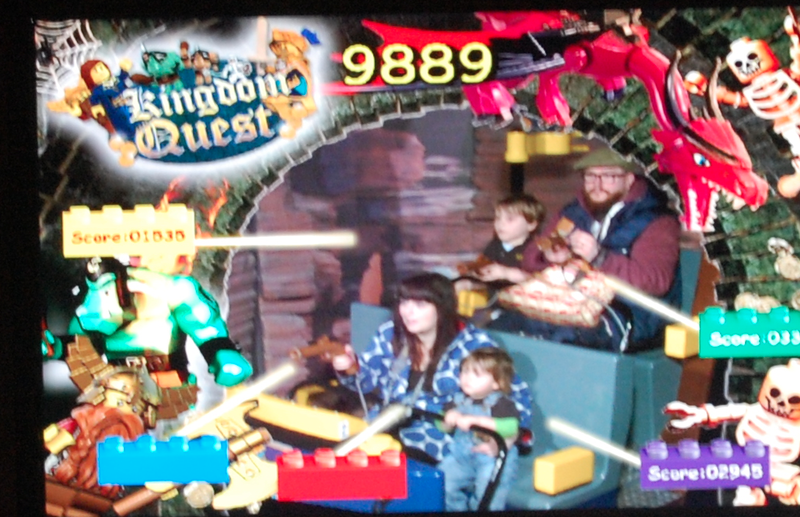 Next on the list of things to do was the Kingdom Quest which was like the Clutch-Powers movie Seth says, a shooting ride. As we arrived the lady announced that it would be closing at 5.30pm - so if you want to go on this, it's a good idea to get there before then as the lines can get busy. Babies have to sit on their own part of the seat bench, as the bar has to be fixed down. I was worried that Opeie wouldn't like the ride, and would try to scramble across onto my lap half way through the ride, but it wasn't scary or too noisy like most rides we've been on and the object was to shoot using the laser guns things that were trying to get the Princess. Opeie didn't grasp the idea of using the guns, but he still seems to enjoy himself looking at everything. Where as the two foghorn boys behind me seemed to be having a whale of a time, shouting and shooting people! After the Kingdom Quest ("Clutch Powers"- Seth) ride we went to the main adventure part, where we found a 4D Cinema ( the last showing at 5:50pm, and the line can get a little long, so be sure to remember to visit before, or get in line) A Lego City Driving Pursuit, where children are able to take part in their own driving adventure as they are let loose upon forest pathways in their own off-road LEGO vehicles! The challenge is on to capture the robbers who have stolen gold bars from the City! Lego Friends which is all pink and pretty and has a really fun exciting Karaoke Booth where you can entertain, a LEGO construction site filled with Lego shaped bricks. Seth and Pauly headed for the Merlin's Apprentice ride, which went round, and you had to pedal to go up in the air, they seemed to be having so much fun as Opeie and I watched. There was also lots of other things to do, which we didn't have time for, A LEGO Car Racer game where you build and race your own cars, and experts on hand in a Lego filled room to teach you how to make things! Just as Pauly mentioned, Seth was dying to spend his hard earnt Tooth Fairy and pocket money, so we headed to the Lego shop which is attached at the end of the tour, they had so many cool things, and if you're visiting the Trafford Centre, I suggest stopping by the shop if your a Lego Fan to have a look at what they have! The prices were quite reasonable really, we bought some Minifigures you could make yourself, which were priced at £2. 50 each , and a StarWars Snow Trooper Keyring for Opeie which was £3.50. 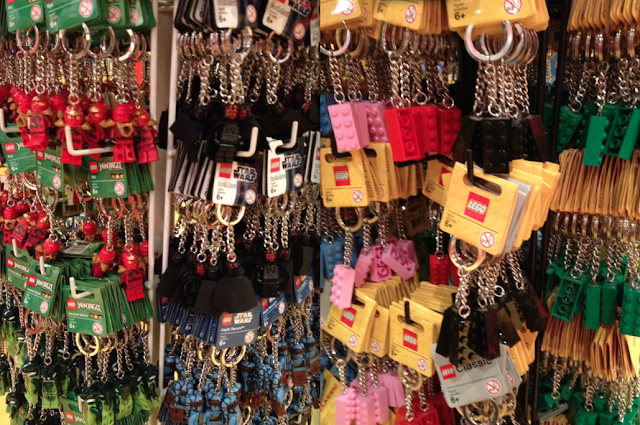 The Pick-A-Brick was good, but quite expensive at £6 per 100g, I would have liked to get Seth one of the Lego back packs, as they were cute. So after a few hours of fun, it was time to say goodbye, and head home, we had a brilliant time, and would recommend a visit to the Lego Discovery Centre if you love Lego, Star Wars, or just want something bit more creative and fun for a few hours out with your children. Children under 3 are free, and there are lots of offers available if you book in advance , there is also a Cafe in the discovery centre, although we didn't use it, it looked nice, and there was plenty of room to sit down. If you've been let us know what you liked best, or if your planning to go we'd love to hear from you! Wow, what a fantastic day you had - a well deserved win for Seth and looke like you all had a brilliant day! Just seen this review on the Legoland Manchester Facebook page ! Well done you guys for posting such an in depth review , I'm going to book the tickets that are on offer like you said as it works out slot cheaper for me & my 3 kids. We are driving down from Scotland , and want to stay in a hotel , how far are the hotels ? 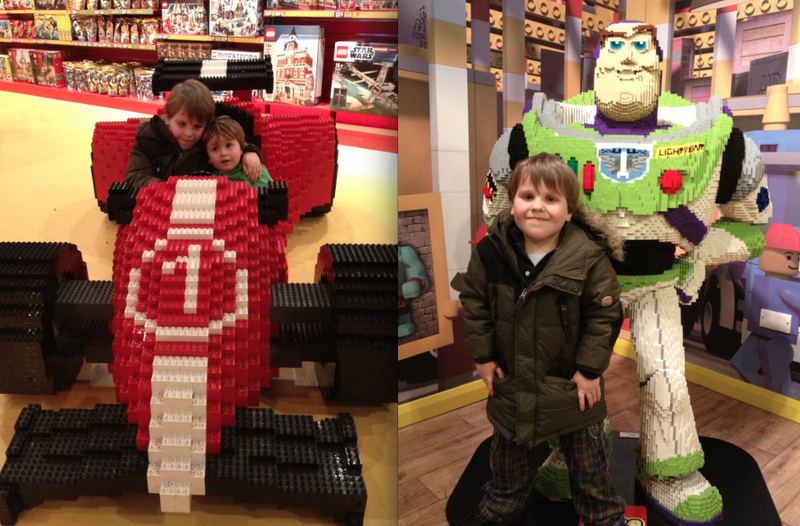 My sons love the Lego clutch powers movie too , so I'm so pleased you wrote about that ride as its really sold it to us ! Ha ha ! They can't wait !!!! Thanks to your blog, I was able to see this in time, and visit , wow what an event! Truely inspirational for our little star wars fans! Well done gifts from the pirates. That is brilliant, I am going to have to take Joshua and Jacob there this half term for sure! 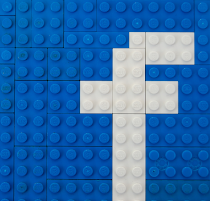 That is so much fun, did Seth and Opeie like Legoland Winsor, or have you not been yet? I went last year and we really enjoyed it, it was so warm, realxing and not too many ques. I'm glad we could be of service. I thought it was great. 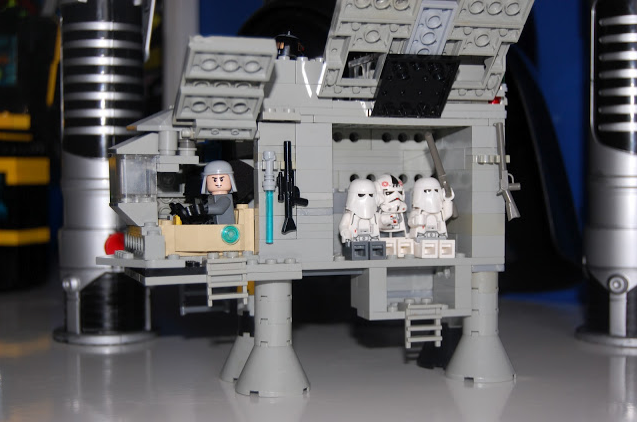 The pod race arena was amazing, but then i am a HUGE minifigure fan. Thanks for reading and I'm glad you had a great time. Tell me about it, i was saying to Mrs M earlier that when i was at school the time between holidays seemed like forever. I'm glad its half term though we love having Seth at home. I'm really not sure about the hotels but I'm sure there are some close. I really hope you all have an amazing time and yes please do let me know.